the seeds you have are for a hearty, dark green cabbage with a wide bottom & short outer leaves. the leaves are supposed to be shiny & nicely textured. they should be planted in the spring or fall. the little chart shows examples for april through november. the black dot represents planting time; the red square represents harvesting time. there are some precautions listed. one is against a disease that attacks the roots. mostly this comes from the soil you’re planting in. 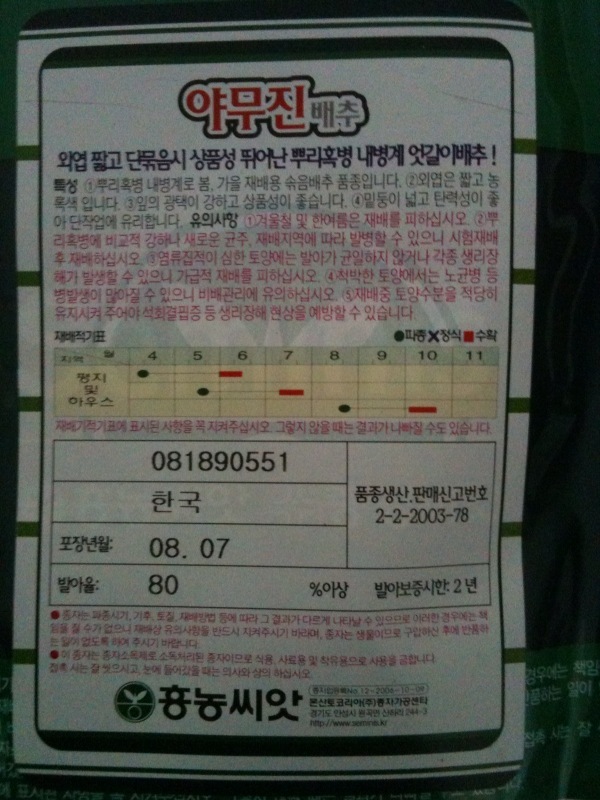 they suggest that you test plant some of the seeds to see if the roots do well. i don’t know that you have time to do this, but if you did, you are supposed to check for bumps forming on the roots. the bumps are bad. the roots should be smooth. keeping the soil moist prevents disease to the plant. This entry was posted in Elaine, Nancy, New York City, Seeds. Bookmark the permalink.